Review: This marks the first hourlong summer scripted series for the CW, which previously aired such half-hour shows in the off-season as L.A. Complex, Dates, Backpackersand Significant Mother, most of them acquisitions. With a number of its regular series bleeding into the summer this year, the CW’s 2018 summer slate will consist of drama and reality programming. That includes the final season of The Originals, as well as the current seasons of Supergirl and The 100, which all will air a significant number of episodes after the official end of the season, along with the CW unscripted summer staples, Whose Line Is It Anyway, Penn & Teller: Fool Us and Masters of Illusion. Created by Arrowstorm’s Jason Faller and Kynan Griffin, The Outpost follows Talon (Jessica Green, Ash vs Evil Dead), the lone survivor of a race called “Blackbloods.” Years after her entire village is destroyed by a gang of brutal mercenaries, Talon travels to a lawless fortress on the edge of the civilized world, as she tracks the killers of her family. On her journey to this outpost, Talon discovers she possesses a mysterious supernatural power that she must learn to control in order to save herself, and defend the world against a fanatical religious dictator. Jake Stormoen (Extinct, Mythica), Imogen Waterhouse (Nocturnal Animals, Braid)Andrew Howard (Hatfields and McCoys, Hell on Wheels), Anand Desai-Barochia (Emmerdale, Lake Mead) and Robyn Malcolm (Top of the Lake, Hostiles) also star. The show marks the first collaboration between Devlin, who co-wrote and produced the original Stargate feature film, and Jonathan Glassner, creator of the TV showStargate SG-1. Both will serve as executive producers along with Faller and Griffin, and Electric’s Marc Roskin and Rachel Olschan. Arrowstorm’s Jennifer Griffin will serve as producer. 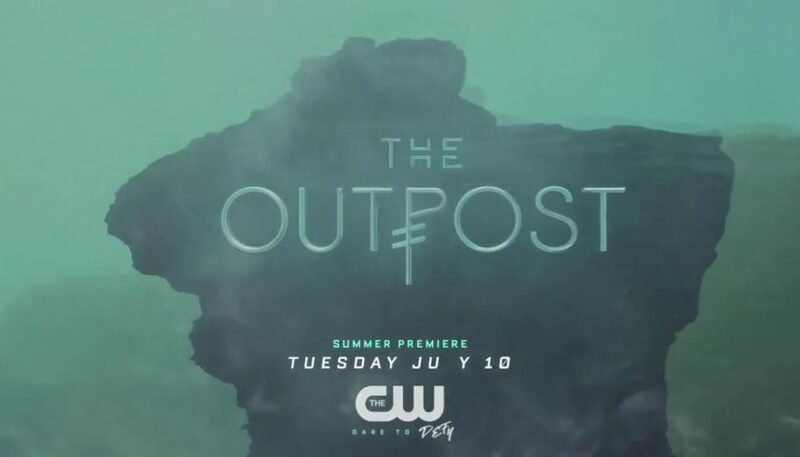 “We are thrilled that The Outpost will be premiering on the CW this summer. The CW is an amazing platform for fantasy television and has a long history of success with the genre. We are confident that this is a terrific home for this project that we are so proud of — and look very much forward to this partnership,” says Devlin.